It’s already 2016 and if you’re still in school or uni, you’ve probably got formals / semi formals to attend. During the lead up to my school formal (back in 2013! ), I spent so much time trying to find a good dress that I actually liked. Without much success, I went online and started gathering inspiration. Recently, I was introduced to promtimes.co.uk. Promtimes.co.uk is a UK website which offers dresses for all occasions. And oh how I wish I knew about this website when I was on the hunt for my own formal dress! The website offers incredible dresses for amazing prices. Do you need a short cocktail dress, a long prom dress or even a vintage prom dress? Promtimes.co.uk has your back. With cheap dresses, there’s something to suit everyone! And although they are a UK website, they ship to multiple countries! And if you’re curious, for my own formal, although after much internet scouring, I came across a gorgeous pink dress (similar to THIS) that I was happy with. Here are a few of my fave picks from the website to hopefully get you inspired on your own hunt for a formal dress! Although I always search for black and white dresses, today I thought I’d do a variety for my prom dress picks. Here comes whites, corals, pinks, reds and blues! And there we have it! A few of my favourites from promtimes.co.uk. 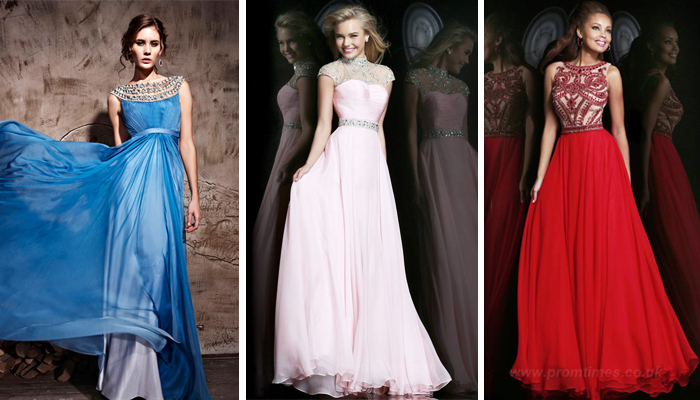 Let me know below, when is your formal and which dress is your favourite? *This is a sponsored post from promtimes. All opinions, thoughts and views are of my own.